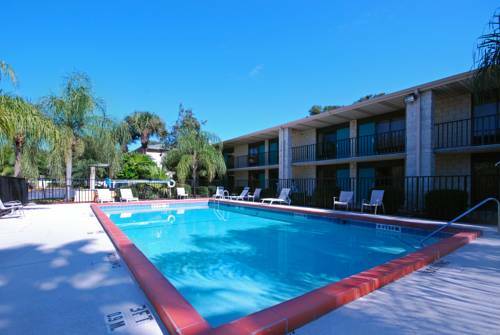 Get more for your money at the Quality Inn Orlando Airport hotel near Universal Orlando in Orlando, FL. Nearby destinations include Orlando International Airport, Universal Orlando, SeaWorld Adventure Park, Orlando Orange County Convention Center, Universal Studios Citywalk and Florida Mall. Enjoy amenities like free breakfast, free WiFi, free airport transportation, outdoor pool and a fitness center. Guest rooms include a refrigerator, microwave, safe, coffee maker and hair dryer. Also, earn rewards including free nights and gift cards with our Choice Privileges Rewards program. NO Pets. Park N Fly options available. Port Canaveral transportation is 50.00 USD/person round trip. Complimentary shuttle to Convention Center, drop off at 9:30AM and Pick Up at 5:30PM.